Lawmakers in New York State are proposing a new legislation that involves the Web, and no, it’s not SOPA-esque or another CISPA-like spy-bill. 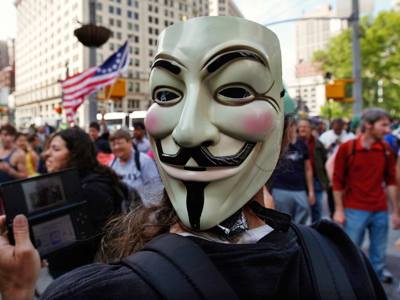 Politicians in the Empire State want to outlaw anonymous speech on the Internet. Mean-spirited? Baseless? In other words, Mr. Conte is one of a handful of elected officials in New York wanting to make the Internet a more attractive place by ensuring that people looking to speak their mind aren’t afforded that right unless they want their personal identity exposed to the world. According to the proposed legislation, the administrator of any website hosted in New York State shall, upon request, remove comments that were “posted on his or her website by an anonymous poster unless such anonymous poster agreed to attach his or her name to the post and confirm that his or her IP address, legal name and home address are accurate.” Additionally, the bill calls for all website administrators to have their own contact information “clearly visible in any sections where comments are posted” to allow for irked readers to demand censorship. If passed, the act will “help lend some accountability to the internet age,” says co-sponsor Sen. Thomas O’Mara, a Republican, who has been elected to serve the citizens of the United States yet apparently has been completely misinformed about the liberties of Americans guaranteed in the US Bill of Rights. Although most major newspapers in the United States continue to publish op-ed pieces anonymously or in a voice representative of that periodicals’ editorial department, on the Internet — where anything goes — average Americans should not be allowed that right, apparently. That isn’t to say, though, that lawmakers elsewhere are trying to crack down on “mean-spirited” posts — earlier this year, a jury in Texas awarded $13.8 million to a couple who filed a defamation lawsuit after being insulted on the Web. Lawmakers in New York have yet to formally vote on the measure.